It’s official, Instagram is THEE place to find good giveaways. I’ve even jumped on the bandwagon because I know that’s where a lot of my peeps hang out. There are a few reasons why giveaways work so well on the platform. The element of trust is still pretty fresh. It’s a lot easier to get someone to like, follow and tag others, than it is to use the traditional online giveaway method where someone has to enter their email and hope they won’t get an onslaught of emails from the host and their partners. The competition is clearly visible. You can see how many entries there are by checking the number of comments. This gives you an idea of the chances of winning. Since my agency regularly researches a lot of giveaway posts to find what works and doesn’t for others, I decided I should share some of the favorites every month. 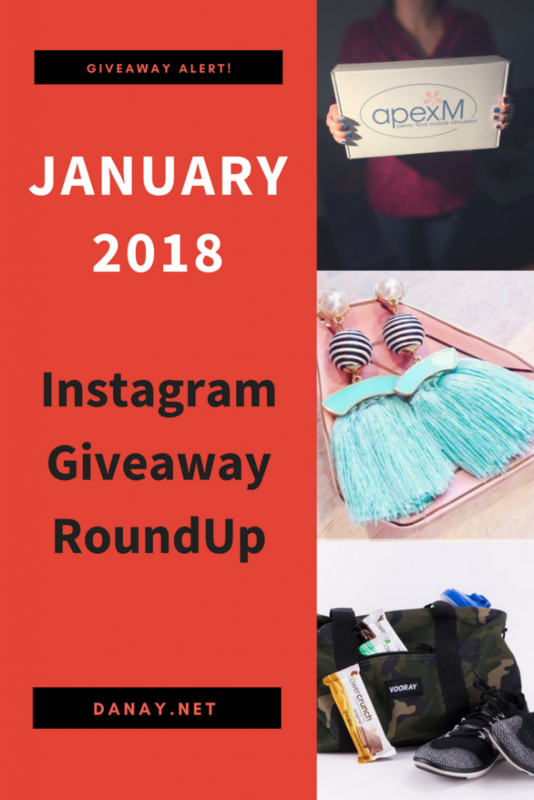 Here are the top 10 Instagram Giveaways we found, and yes mine is at the top! Here’s my most recent giveaway. It ends Friday, January 20th, so don’t forget to enter! ✨✨Are y’all for ready for the #MCC20K GIVEAWAY??!!! ✨✨As a big THANK YOU to all of you who have been following me for some time or you are just joining in, I want to make sure I show y’all how much I appreciate you with this 20K Giveaway!!!!! ⚡️ There will be not one but 7 PRIZES!!! The winners will be chosen at random for a chance to win ONE of the prizes below: 1️⃣A @Devacurl Super Pumped Curly Kit (32 oz No-Poo & One Condition Original & 5.1 oz Supercream) 2️⃣ @Bouncecurl Medium Moisture Kit (NEW 8 oz Pure Silk Moisturizing Shampoo, 8 oz Super Smooth Cream Conditioner, & 8 oz Light Creme Gel) 3️⃣ @Curls Blueberry Bliss Reparative Wash, Reparative Hair Mask, Leave in Conditioner & Curl Control Jelly 4️⃣ @janecartersolution Curls to Go Curl Drench Cleansing Co Wash & Untangle Me Leave-in Set 5️⃣ A @thecurlyco Diffuser 6️⃣ @Skintasy NEW (Not yet released ✨) Bamboo Scrub & Face Cream 7️⃣ A @thermalhaircare Hot Head Deep Conditioning Cap Doesn’t this sound amazing?! 😱 I’m excited already! ❇️RULES 💥MUST be following @mycurlychronicles & ALL sponsors : @bouncecurl @skintasy @thermalhaircare @devacurl @curls @janecartersolution @thecurlyco 💥Tag 2 friends in the comments below 💥Bonus entry! Repost this image with #MCC20K DETAILS: ✳️The contest will run starting 1/12 and will close at 11:59 pm EST on 1/19. ✳️ Winners will be chosen at random and will be announced on 1/22. ✳️Prizes cannot be requested to be switched remember they are 🆓 ✳️Multiple entries are accepted as long as you are tagging 2 different friends each time. They must be PERSONAL friends of yours (no youtubers, bloggers, influencers, etc.) Please play fair or unfortunately you may be disqualified. ✳️PLEASE HAVE PAGES PUBLIC until the winner is announced !! GOOD LUCK!! – This is not sponsored, administered, or associated with Instagram, Inc. By entering, entrants confirm they are 13+ years of age, release Instagram of responsibility, and agree to Instagram’s term of use. US RESIDENTS ONLY. Have you seen @SwirlyGirlDesigns new Hank & Clementine fabrics yet? We are so excited to be sponsors for her Fabric Blog Tour! Visit @PhatQuarters to see the great projects created by some of our favorite #Makers. We have an amazing #Prize pack of #PDFpatterns to inspire your next creation. For your chance to win simply (1) Like this post & Follow us, (2) then go visit @lovenotions and do the same. This Giveaway is open until Saturday Jan. 20th. Be sure to visit & follow each of the sponsors for your entry to be complete. This promotion is in no way sponsored, endorsed or administered by, or associated with, Instagram. Just follow the hashag #giveaway & #giveaways, and you’re all set. Wow! I thought there might be one or two giveaways that I would be interested in but I loved them all! Thanks for putting these all together! Yes! I see giveaways happening all the time on IG and a lot of them are super interesting. Those loop giveaways tend to be very popular. I have to admit sometimes I think it is a overkill – as I live in Germany I often can’t take part in them BOOHOO! Liking this roundup though at least I get an idea of the products available. Wow these are tons of giveaways! Im one of those unlucky who never wins any giveaways, hahaha. Good luck for all the fabulous entries! So many giveaways going on right now. I can’t wait to enter the one with the DevaCurls package. I’ve been eyeing those throughout Instagram. I have entered a few Instagram giveaways. I definitely need to check these out. Such an easy way to enter. I love some good giveaways! Free stuff is my friend! Giveaways like these are always so fun! Going to check out some of these. Thanks a lot for the compilation. I am participating right away. Love how interactive Instagram is. Thanks for putting together this giveaway post. I love giveaways! I recently had one of my own. I’m going to go enter some of these now. I’ve seen lots of giveaways ion Instagram! I feel excited every time I see interesting prizes but only a few are open internationally. Agree that it is much easier to see giveaways on Instagram. Love all these giveaway posts! I hope some are open internationally. I love that fairy dust! I love giveaways! I have to admit though, I’m sometimes skeptical because I’m never sure if the item was actually given away. But it never hurts to enter if it just costs me a like. Lots and lots of giveaways! I havent tried hosting a giveaways online, but have tried sponsoring giveaways on my friends parties using my excess goodies. They love it! Blair, that is a brilliant idea! That’s a lot of giveaways! I’ve always wondered the real value of doing giveaways, I’ve ran them for clients before but we usually see over 50% people drop off engagement immediately after the giveaway. There are entire communities dedicated to finding and joining them all over the place.